The traditional Spanish village of Jesus Pobre lies in a verdant valley to the South of the Montgó National Park. 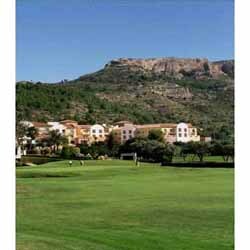 It is close to the towns of Denia, Pedreguer, Gata and Javea, and yet retains the peaceful, authentic charm of a small country village less than 10kms from the beaches, spa hotels and nearby golf courses. Local Stores include two groceries with butcher service. To the north lies Montgó Mountain, while south is a valley covered with orange, almond and olive trees. Farmhouses, often beautifully restored, dot the landscape. This is a delightful village, especially if you have peace and tranquility in mind. Property ranges from country villas to stone terraced village houses. Local festival from the 9th till the 18th of May you can enjoy of Performances, children’s park, fancy dress night, bull running among others. Browse Jesus Pobre property for sale listings.